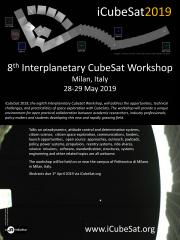 BIRDY CubeSat is a contribution in Space Weather monitoring from the interplanetary medium and an opportunity to assess the risks in the manned missions to Mars. It is a project led by the Paris Observatory in France and the National Cheng Kung University in Taiwan, started in 2013 and targeting a Structural and Thermal Model in 2015, a precursor GTO flight in 2018 and a long flight to Mars for the 2020 launch opportunities, paving the way for a new kind of contribution in science. Due to the lack of observational data on the way to Mars, large margins have been taken into account to assess the radiations risks for human missions to Mars. Such margins lead to a potentially unjustified conclusion that the risk is too high. Various theoretical models still disagree at energies lower than 100MeV that should result from the difficult understanding of the interactions between the cosmic rays and the solar wind. BIRDY is an interplanetary mission based on a standardized 3-Unit CubeSat (10x10x30cm^3, 4kg). It has involved students in France and Taiwan at different educational levels, more have to join in the future, why not from the USA, thanks to an original project management. The CubeSat counts high-energy particles between 1 and 500MeV/nuc associated with a directional assessment. The measurements are performed all over the journey to Mars and back to the Earth. The mission preparation makes BIRDY compatible with any opportunity of a large mission departing to Mars (typically every 2 years). Once integrated in its deployment container, the CubeSat gets the Delta-V for interplanetary injection as a piggy-back from a host mission to Mars and is jettisoned at the beginning of the journey. Then it operates in full autonomy : zero assistance from the ground, no communication except a status beacon to the VLBI network. The data are only uploaded once in Mars’ vicinity to one of the existing Martian orbiters (ESA, NASA or ISRO) and later at the arrival back to the Earth before crashing into the atmosphere. The CubeSat relies on a tailor-made planet tracker and a small electrical propulsion to navigate. This CubeSat is a sense-full low-risk solution to provide the scientific community with high-value new data.